Touch Panel: Resistive type touch panel, glove-friendly TP. Speaker: Built–in loud speaker,8Ω 2W. 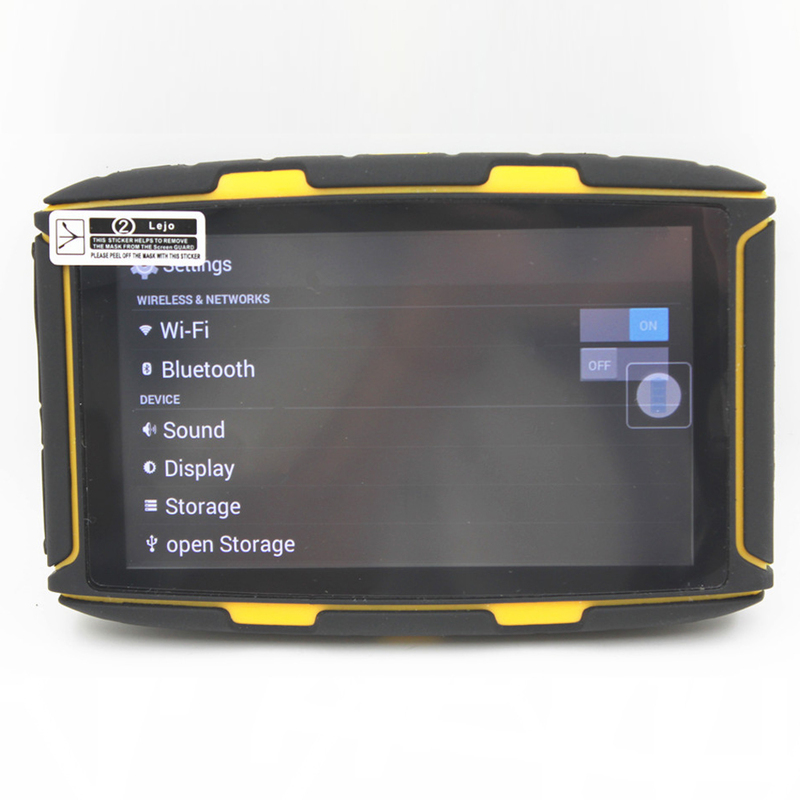 *All Weather Device: The device has a Glove-friendly screen that responds instantly to touch. clear, turn- by-turn spoken directions. 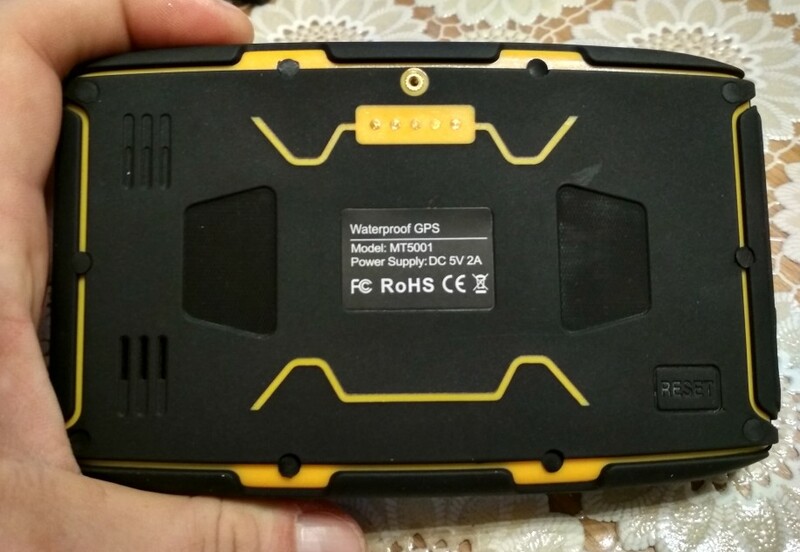 Because it’s Resistive screen, design for Waterproof, can be use even Water on Screen, but it requires significant pressure, hope understand. Please consider carefully if you mind, thanks. And above, some pictures are sharing directly from worldwide dear customers, thank you so much for all your support. 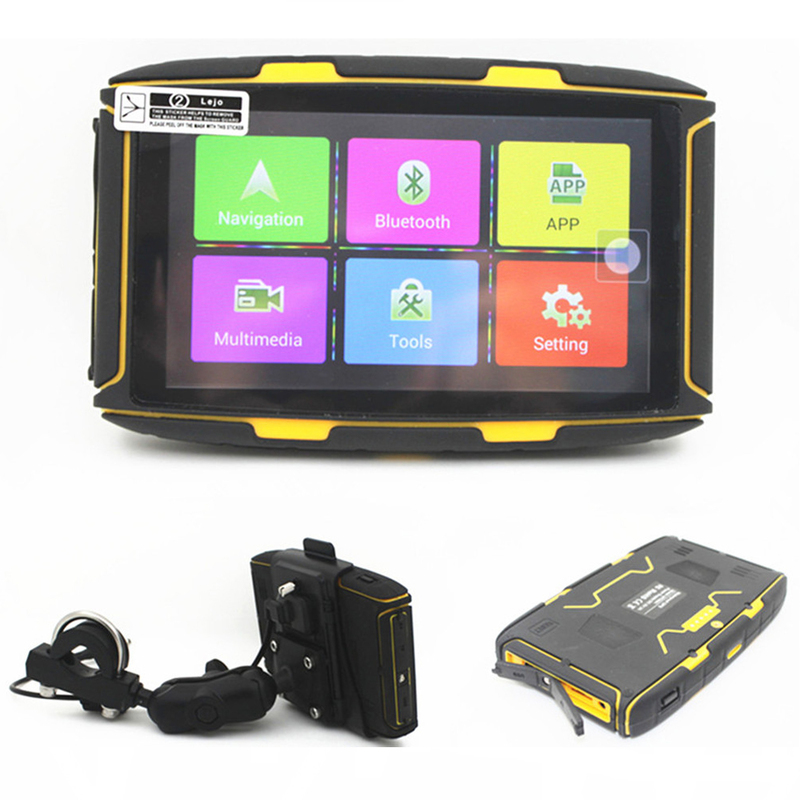 Within 15 days after you receiving the package, if any problem of the devices, please contact us freely, we will did best to help you solve the problem. And during this period, if you want to ship back the package, we will full refund you after get the package you return. Over 15 days, please understand that normally for Electronics products offer 1 Year Free Warranty, thank you for your understand and support. Please check the package before Sign in, if any damage please refuse and contact us. And any question you can write to me, due to time different, thank you, will reply you ASAP! Hi! 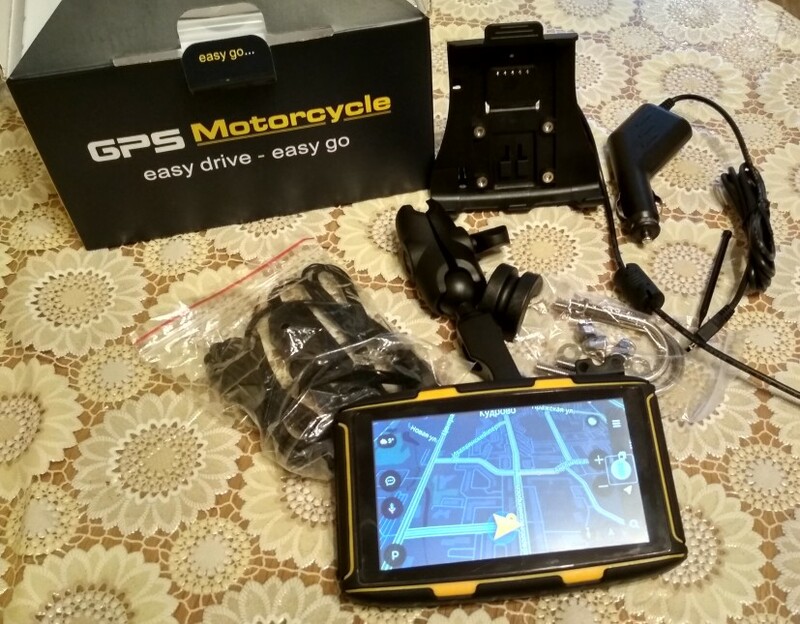 I ordered the GPS 10Nov (for 11/11 offer), and it arrived to Spain 27Nov, so shipment was very fast. About the device, in the first sight, it is very well-built. It is hard and waterproof. Android OS makes very easy to install and uninstall software. I have a Tomtom license, and I unistalled the iGO that comes originally, and installed TomTom software. 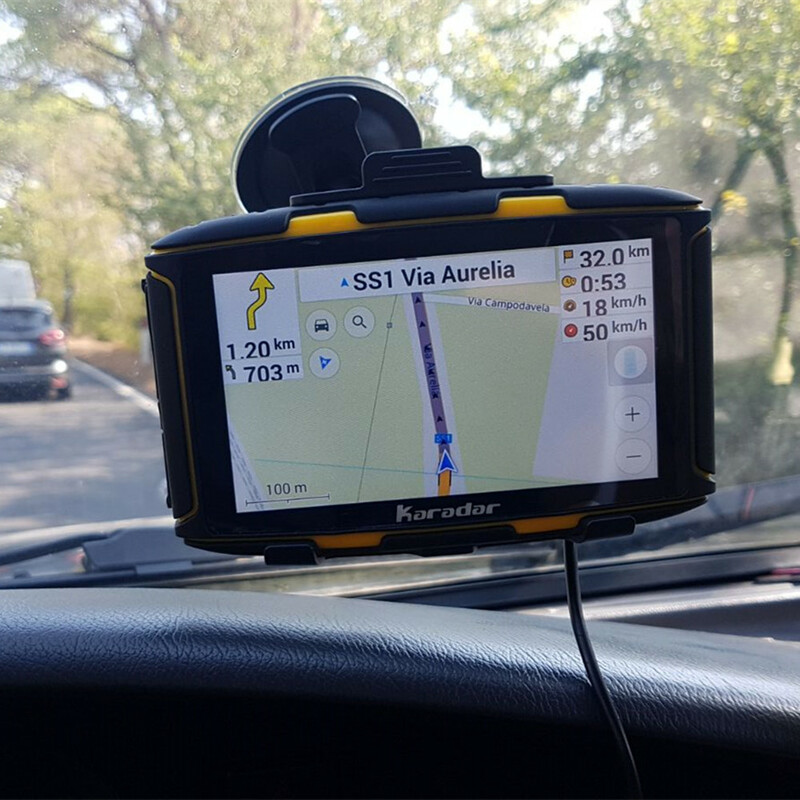 Now I can send POIs, destinations or routes from my phone / computer /whatever to the device without any manual intervention. The launcher is little slow. It has 6 big buttons, but the don't work properly. I think it is a software problem, because the screen works properly. 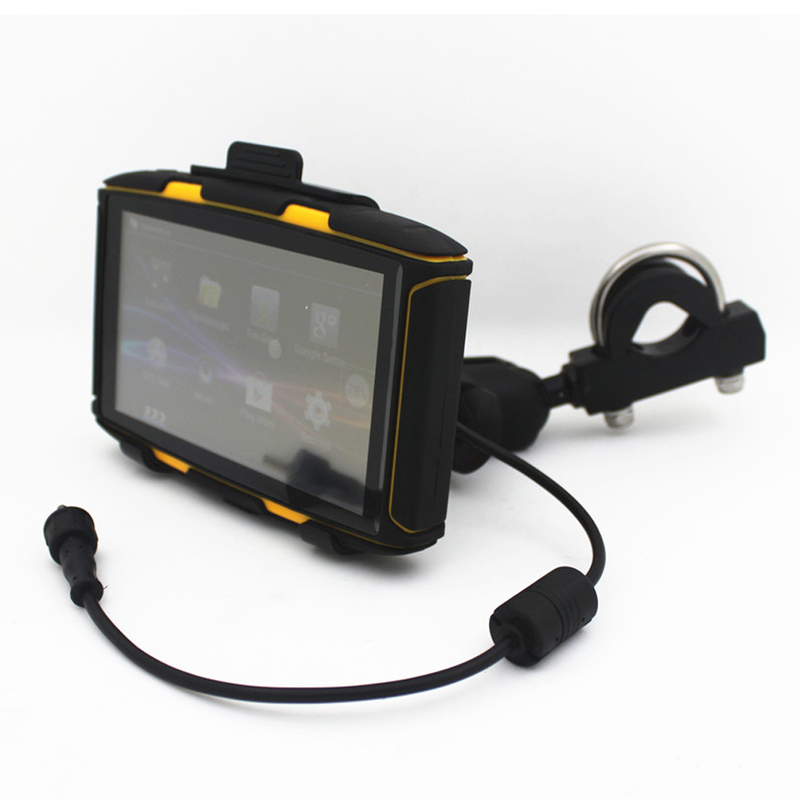 I need to prove it outside and raining, but at the first sight, it is a very good device. About the SD card, i bought it with a 32GB SD card, but the device only see 6GB. I don't know if it's because the card, or because Android software. Please, take care about it. Works great, but the display is not bright enough in sunshine. Sound with Bluetooth very quite. 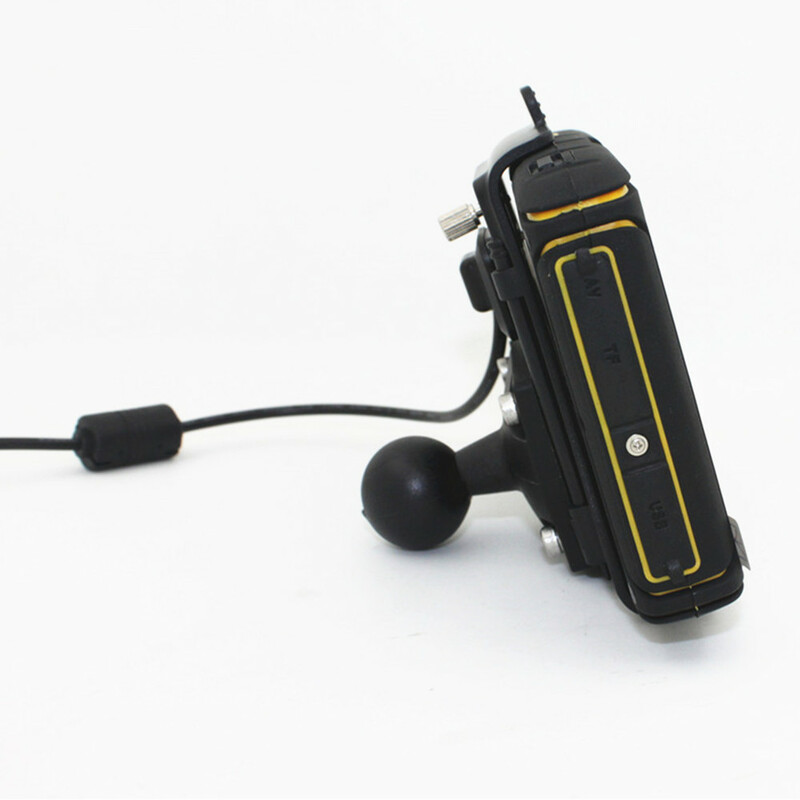 Very good communication with store, extrem fast shipping. Arrived before expected. I had to pay 20 € VAT but I had expected. The product has arrived in excellent condition. Tested today and seems to work everything correctly. Superior to expectations. Arrivato prima del previsto.Ho dovuto pagare 20 € di IVA ma lo avevo previsto. Il prodotto è arrivato in ottime condizioni. Provato oggi e sembra funzionare tutto correttamente. Superiore alle aspettative. I'll the Device first time test optical is ever all o. k.
A really good tool. The package is complete, nothing is missing. 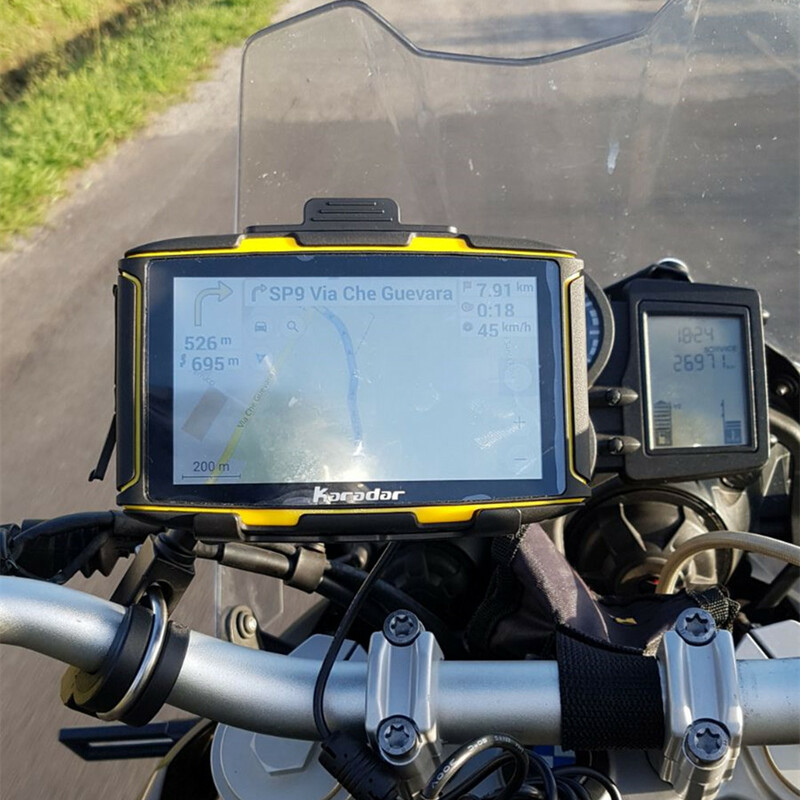 The navigation device works quick, the finish lokks like good. Все в соответствии с описанием. Качество изготовления высокое. Много разных дополнительных креплений, для установки на мотоцикл или автомобиль. Есть небольшие особенности, связанные с Андроидом 4.4.2 КитКат, но они решаемые. Продавец очень отзывчивый, в этом ему оценка 8 по пятибальной шкале. Можно связаться с ним по электронной почте, если есть какие то вопросы. Сторонние программы ставятся, но с некоторыми оговорками. Надо спрашивать у продавца, если есть желание что то дополнить. Экран блекловат, но если фон карты светлый, то видно все достаточно хорошо. Экран резистивный, для работы в перчатках, поэтому не ждите моментального отклика от пальца, есть стилус или другой твердый предмет, для этого хорошо подходит ключ зажигания. Зато от капель дождя экран не срабатывает. Трек отслеживался. До России доставка 22 дня. Неплохое соотношение цены и качества. Большое спасибо продавцу. 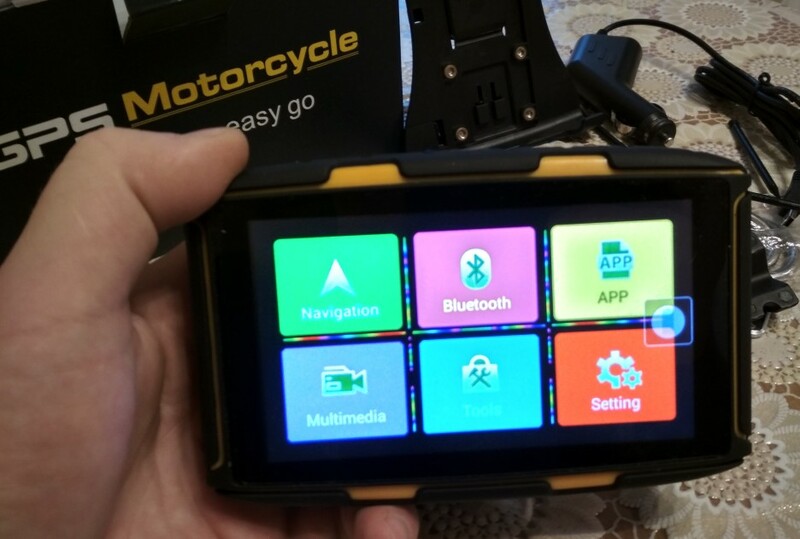 the delicateness of fast and good packing, navigator is both x corredato all for car motorcycle fast bright and beautiful especially with a solid and menu navigation variegated customization, has nothing to envy other more blasonati navigators, wifi and bluetooth not miss. recommended! product no tried again. it was sent trés early french postal service's unfortunately. marignane pretty arrived-3.5 roissy 12/04 think 03/05 factory ....!